The Falkland Islands consist of two predominate islands and hundreds of very small islands off the southeast coast of Argentina (South America). The islands are a voluntary British Territory that have enjoyed remarkable growth and economic development becoming one of the United Kingdom's most dynamic and proactive Overseas Territories. The Falkland Islands were first landed upon in 1690 by the British and was settled in 1764 by the French. Spain was given control of the islands in 1766 and the United Kingdom took control of them in 1833. In 1914, the Falkland Islands waters were the site of one of WW1's major naval battles. The British victory in this battle secured safe passage for allied ships around Cape Horn for the duration of the war. The islands were the sight of a military conflict between Argentina and the UK in 1982 but have been peaceful since that time. Diplomatic relations between the UK and Argentina were restored in 1990 and efforts to improve relations continue. Great Britian maintains a small military force on the islands. The Falkland Islands are located in the South Atlantic Ocean 400 miles off the coast of Argentina. The land area of the islands (two main islands and hundreds of smaller ones) is 4700 square miles. The topography is hilly with several peaks reaching 2000 feet. Most recreational activities available in modern cities of the world are also available in the Falkland Islands. Many sports, sightseeing, and wildlife watching opportunities exist. Other cultural and civic activies are common. Modern education, police, fire & rescue, and healthcare services are available on the islands. All are based on the British services system. Even though the islands have a large concentration of adherents of the Christian faith, every nation needs to have the proper instruction and living example of Biblical Christianity. Discipleship and Scripture-oriented teaching & preaching need to be maintained. Evangelistic efforts for the islands and neighboring nations are also an area that needs to be established and/or maintained. * Pray for Biblical Christianity to be proclaimed on these islands. 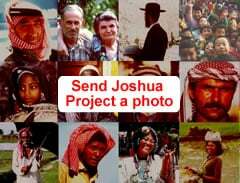 * Pray for local converts to be prepared for ministry unto their neighbors. * Pray for their protection and provision while they engage in spiritual warfare. * Pray for God to raise up a people who will take the gospel message to neighboring islands and into other nations. 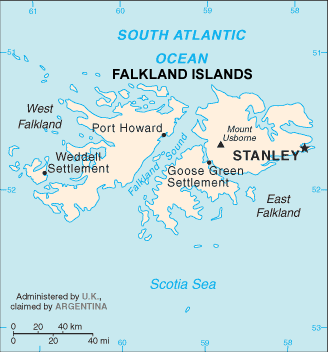 (2) This information is used with permission from https://www.cia.gov/library/publications/the-world-factbook/geos/fk.htmlView Falkland Islanders in all countries.